Nancy Matlock died of cancer in March of 1994 at the age of 46, while she was serving as a supervisor of teacher education with the UC Santa Cruz Education Department. Nancy re-entered school in her 30s at Cabrillo College and transferred to UC Santa Cruz, graduating from Porter College in 1979. She majored in economics and also completed coursework for a teaching credential in the Graduate Certificate in Education program. Deeply involved in the entire Santa Cruz educational community, public education was Nancy Matlock’s passion for more than two decades. She served as a teacher of economics, mathematics, and U.S. history at San Lorenzo Valley High School in Felton and as a teacher of social sciences at New Brighton Middle School. She then returned again to UC Santa Cruz, this time to work with the Education Department and as a member of the Central California Writing Project’s Advanced Institute and Advisory Board. 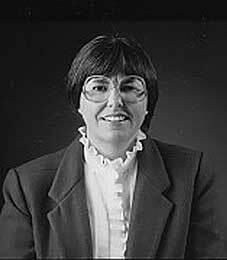 She also served as a trustee of Cabrillo College for eight years and, from 1979 to 1985, she was a trustee for the Santa Cruz City Schools. Nancy was active in starting the Santa Cruz County Women’s Commission and was a forceful voice for children, addressing issues of violence and racism, tolerance and respect. The Nancy Matlock Scholarship was created to honor her legacy by benefiting future teachers. Preference for the scholarship award is given to first- or second-year students enrolled in the UC Santa Cruz two-year Graduate Certificate in Education program who have attended Cabrillo College for one continuous year. If no such qualified student(s) apply, preference is given to other students in the program. The award is based on academic merit and financial need. The selection committee makes its final determination considering which candidate’s commitment to the field of education most closely reflects the life and goals of Nancy Matlock. For more information about this scholarship, please contact Education Department Credential Analyst Kim Jackson by telephone (831) 459-2200 or email.